Kicked off 2016 by going to Yaxha, the third largest city known in the region. The thing about Yaxha is that it has a lengthy occupation history and was already a large site during the Early Pre-Classic, with construction of some buildings beginning in the 8th century BC. From about the 4th century BC to 3rd century AD, Yaxha (meaning “blue/green water”) was the largest city in the Petén, though it didn’t reach its peak size until the Early Classic (ca. AD 250–600). It was eclipsed in size around AD 600, but continued to be dominant and had continuous occupation into the 9th century AD, before being abandoned. Like Tikal and other sites in the region, it shows influence from Teotihuacan starting around the 4th century. Yaxha is a lot less excavated and restored than Tikal, but that is normal. The 20% excavated at Tikal is unusually high. About 6% of Yaxha has been excavated, and the norm is between 2–10% of a site—and that is to say nothing about the 95–99% of sites that have gone unexcavated entirely. Still, there was some pretty cool stuff to see at Yaxha. Like Tikal, it has groupings of multiple pyramid structures and you can claim to the top of 130+ feet towers and take in quite the view. Atop one that comes close to 140 feet, built on top of an already elevated space, you can see a beautiful view of the nearby lake (named, appropriately, Lake Yaxha). Hole in the ruins dug by archaeologists. One of the unique things we saw here was a hole in one of the structures which the archaeologists had dug to get past the Late Classic era construction and down to the Pre-Classic ruins. Thus allowing us to clearly see how structures would be built over top older buildings. Of course, it is a small hole, so when you consider that only 6% of the site is excavated, that generally means 6% of the Classic Period ruins at the site. The small whole penetrating to the Pre-Classic layers is only a fraction of a fraction of a percent. This is standard fair in Mesoamerica—it was the case at Yaxha, Tikal, and Ceibal, among others—and rarely do archaeologist do so much as dig a whole down to the Pre-Classic layers like that did at Yaxha. It is hard enough to get to the latest construction layers (usually at least Classic, if not Late Classic), let alone dig further into the site to get at earlier stages of construction. Not to mention getting at earlier layers requires destroying the later layers, something archaeologists are understandably reluctant to do. (Classic, and especially Late Classic, ruins are generally grander, more interesting, and more attractive to tourists, after all.) So much of the Pre-Classic and often even Early Classic remains hidden underneath. This is a problem when it comes to issues related to the Book of Mormon, because the final occupation—and thus, typically, construction—at most sites post-dates the Book of Mormon, usually by several centuries. The implications here are not to be taken lightly. How much “direct” evidence for the Book of Mormon can be expected when so little dating back to Book of Mormon times actually gets dug up? When critics expect direct evidence for the Book of Mormon, they often don’t realize that (a) 95–99% of all Mesoamerican sites remain completely unexcavated; (b) when a site is excavated, usually only about 2–10% of it gets explored, with the rest remaining untouched; (c) the Pre-Classic and sometimes even Early Classic layers very often remain buried under later layers of construction, and hence go unexplored. In bringing this up, I am not suggesting that some smoking gun is waiting to be discovered that will prove the Book of Mormon true once and for all. 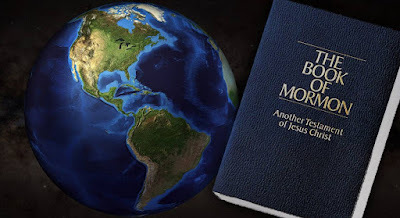 Rather, I am simply pointing out that, given the state of Mesoamerican archaeology, we cannot have an abundance of direct evidence for the Book of Mormon because we do not have an abundance of data from the right time and place to start with. Those limitations aside, visiting these different ruins and learning more about them and pre-Columbian Mesoamerica in general has been a real treat, and Yaxha was no exception. Climbing the ruins, taking in the view from the top, and being in awe of the splendor of these sites, gives added appreciation for what these ancient peoples accomplished. Having Dr. Mark Wright share insights into how their cultural practices might inform our reading of the Book of Mormon is just icing on the cake!